Comment: I have a foundation drainage system and dual sump pump system. Getting seepage from my front wall which needs to be repaired from the outside as I have a room in the basement and do not want to tear it apart. Comment: In the heavy rain last night, the one area in the basement I expected to be dry, was flooded. We have lived here just a month and this was the first heavy rain. I would like this one area to be a place I could keep suitcases, memorabilia, etc. dry. Comment: we are considering purchase of this house (it's in contract) but the inspection turned up drainage problems, cracks and other problems with water in the basement. We would want to finish it so are looking to completely waterproof and insulate. What we need now is a cost estimate for negotiating with seller. 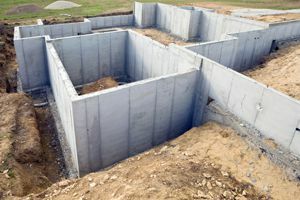 Comment: I need an estimate on getting foundation installed. Middlebury Foundation Contractors are rated 4.82 out of 5 based on 17 reviews of 7 pros. Not Looking for Foundations Contractors in Middlebury, VT?